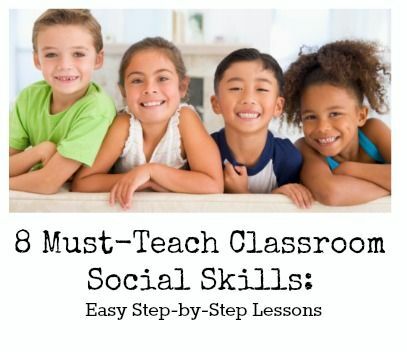 Looking to find activities to help you in teaching social skills? These fantastic hands-on materials will help engage and motivate your students to practice being inclusive and kind. After trailing the internet for some ideas on how to teach social skills. 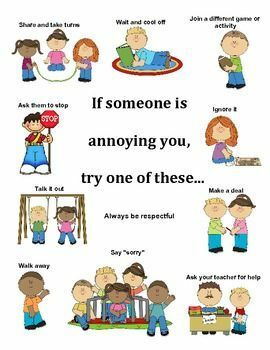 I am currently in the process of using these ideas in incorporating social skills with my ESL bunch whilst teaching literacy etc. The best way to incorporate these skills is to actually model positive social behavior at all times (no matter how hard this can be when student A is jumping up and down on the table and student B is throwing tantrums in the middle of your center activities) – it is so easy to lose our cool and it takes a matter of seconds. When I started teaching, I started with a Kindergarten class and I was really really tested!! So here are some ideas I have used in the past and some new ones which I have used recently. I hope you could use some of these with your students. 1. Use some books by popular authors to demonstrate appropriate behavior. 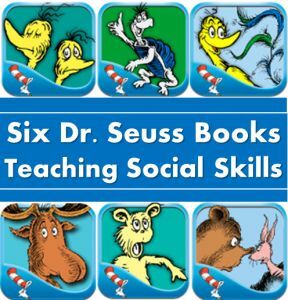 Dr. Suess is a loved author – his books truly speak to the child’s heart. Here is a compilation I found on Pinterest. Follow the link HERE to check out these titles. 2. 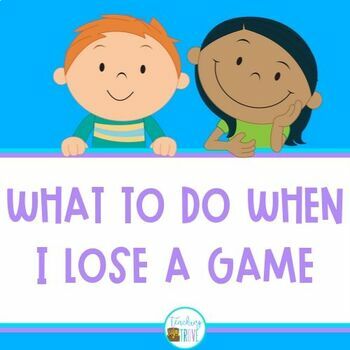 Here is a fun printable that encourages kids to accept losing and that it is a part of winning. This is from the Teaching Trove and it is a FREE download. Check it out HERE. 3. This one is a simple one page handout which encourages children to write about themselves and hence increases their self-worth and motivation. This can be downloaded HERE. It is a part of my full social skills activity pack HERE. 4. This anchor chart is also a FREE anchor chart listed in the free pack above. I show courage when… Great to hang in the classroom and discuss ways in which children can show that they’re brave. Some examples are; standing up for others, helping others, saying the truth (even though it might hurt them) etc. Grab the full activity pack HERE. 5. Here is a list of MUST teach children’s skills in any classroom. I found this to be very helpful. It includes some classroom activities and ideas on how you can teach each one. Find the link to the post HERE. 6. This next one is a great set of posters to encourage being friends and acceptance. This is is from Digital Divide and Conquer. Check out the FREE download HERE. 7. This one is a simple activity page where children write down compliments to their classmates and what they think they are good at. It can be found in the activity pack HERE. 8. Peace begins with me – also another printable which helps encourage children to think positively and value their classmates. 9. This anchor chart is just adorable! I am not an artist (and quite frankly a 2-year-old can draw better than me) but I won’t image that this beetle would be so hard to draw up on a simple anchor chart. Find the link HERE. 10. 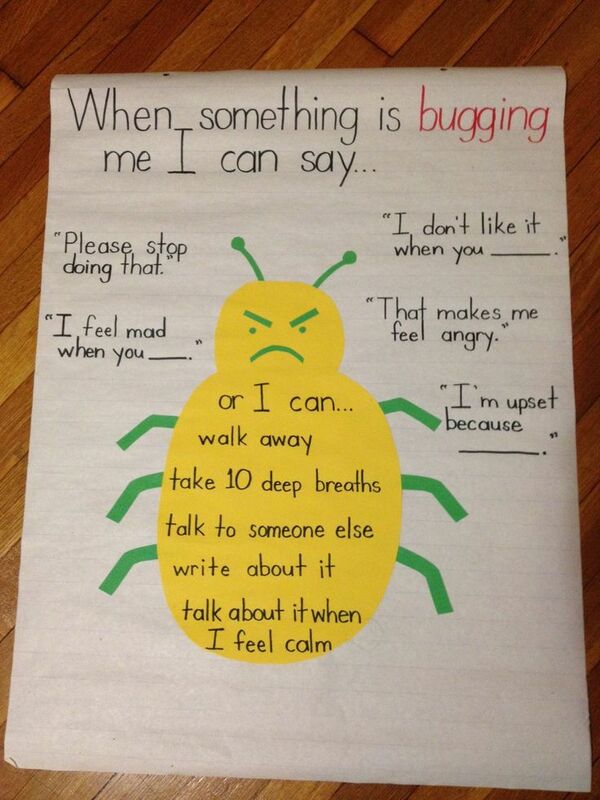 This awesome poster is also a great one to use for when kids get annoyed with someone and how to behave. Download and use for FREE. The link is right HERE or click on the picture. I hope that some of these ideas will be useful for you! Scroll down for some more behavior management videos. Coping Skills for Kids Brilliant Way to Reinforce Positive Behavior – FREE Wheel Social Skills to Include in Your Homeschool Alphabet Matching Cards Effortless Hands-on Free Printables! Teaching Sight Words to ESL Students – Amazing Must See Ideas! Behavior Incentive Behavior Skills Free Download. Can you please share your FRIENDS posters with me? We are teaching a friendship unit at our school and these would be great.